Heya, check this out! 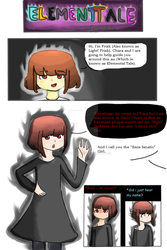 I think that I've done a great job on this, so "woohoo" for me~! but soon I'll be tall. but there's no need to pity. but if I were, would you reward me a tart? Look and see! There's gold coins! SO much! Wait, one just dropped so let me add a final touch. Also, today my teacher called me "bright". She also said that I never talked loud. cause you see, I've passed my test! and in every test I pass. I hope that you'll believe what I'll write, cause it's true. I knew it was bad and it'll make me choke. thinking that I'm into their games. went to your room but you were away. E very where it is, in the daylight, at night and in the rain. S tronger and stronger, or maybe not, who knows? I nside it can feel like long, empty halls. O nly then now I'll say : "Good Bye"
N ot then I add "Don't die". Pain, is it? Or stress is it? If it is, then I ask you to sit. And don't stress yourself to the max. when you look up, you see someone twerk. then you run home and look like a stray. you run out to check but oh no! You've left a stream! when ten years pass you look at your gown. and because of that the smooth skin you have is now replaced. And then, you started to pout. tried to sleep but heard a slice. there's blood in every part of me. is it because I wanted to die? reminds me of when I wasn't dead. my mixed up feelings starts fusing. and now I feel all this pain. Like you're falling down a pit. seeing my mother with a cup. must have tasted really yummy. and she starts saying : "Oouk, oak, uek!" her stare as cold as ice. but then I got hit with a pen. The EARTH is my ART! Take the "E" and "H" out, what do you get? ART! Say it louder! AAAART!!! Ok, that's good to see! Oops, sorry didn't see ya there! I LOVE, like seriously, I LOOOOVE drawing and crafting so... HERE are my Master Pieces. And yeah, they're not Purr-fect, cause I'm like a complete amateur! LOL! :3 Anyloops, feel free to browse through my work! Doesn't matter if it's pretty or not, these are my favorites! They really make me smile and feel happy (Even if it's violent) so here I show off other artists work. I give them FULL credit because well, they made it! Shooo... YAH! SnowyFuyuko-Chan has started a donation pool! ~ Please Donate if you like my artwork! ~ Please Donate if you want to help this poor artist! ~ Pwease Donate if you want me to improve! ~Please Donate so that I can donate to other's too! I am a self-learned artist and I trained myself to draw, paint, do Digital Art and craft stuff. Personality: All! My personality could change randomly when I'm with different people. Most Fave Show : TENKAI KNIGHTS! Don't use my work without my permission! Facts About Me: I'm a Fangirl, I SHIP!, I can voice act so I'm a voice actress, I am a Tenkai Knights fan forever, I LOVE Creepypasta, Gore is my Core, I HATE Bullies, I have about a million locks in my heart (So I don't think anyone would fully understand me but myself), I LOATHE and LOVE pain! Fake Friends- Never seen you cry. Real Friends - Cry with you. Fake Friends - Borrow your stuff for a few days then give it back. Real Friends - Keep your stuff so long they forget it's yours. Fake Friends - Know a few things about you. Real Friends - Could write a book about you. Fake Friends - Would knock on your front door. Real Friends - Walk right in and say, "IM HOME!" Fake Friends - Will help you up when you fall over. Real Friends - Will jump on top of you and shout, "Pile up!" Fake Friends - Are for a while. Real Friends - Are for life. Fake Friends - Will read this. So, I hope that you enjoy my stories/ fanfictions and art works because I always try to give my very best when doing these things! Okay, so my friend tagged me sooo yeah... Actually I'm really nervous, I've never been tagged like this before. 2.) Write 13 things about yourself. 3.) Answer the 13 questions made by the person who tagged you, and make your own 13 questions. 4.) Tag 13 deviants. And I mean ONLY 13! 5.) Make sure that they know that they are tagged. 6.) Don't say "You're tagged if you read this." 7.) It is forbidden to not tag anyone. 8.) Tag backs are allowed. 9.) If you don't make this tag in a week, you need to obey a wish of the person who tags you. 3.) I'm not crazy, I'm insane! 4.) I have about two siblings, my twin bro and girl. 5.) My personalities could randomly change. 6.) I can dance, hip hop and ballet, dunno why but I guess... meh! 7.) I am a Half-Japanese and the other half... I won't tell. 8.) I never once in my life ever swore or cussed before. 9.) I dunk my cookies as well as other sweet pastries on milk. 10.) I've been bullied before and I still am. 11.) My fashion is unusual to most other people. 12.) I wear mostly rainbow headbands, clips and scrunchies. 13.) I HATE Papaya, it tastes weird in my mouth. 1. How many OC’s do you have? 2. Are you sure that you’re human? 3: What fandom(s) are you in? 5. What was your first pet? If you haven’t had a pet yet, what pet do you want? -I think that you're a great friend and you've helped me a lot. 8. Do you know the Muffin Man? 10. Is your dad alive? Mine isn’t. 11. Would you give a homeless person CPR if they were dying? -Depends, if I'm sick I wouldn't cause it'll only make it worse. 12. How are you going to beat a dragon if you’re dead? -Haunt it forever and use my "magical powers" to destroy it. 13. If you were a flower, what flower would you be? 1.) Do you know UnderTale? If so, then who is your most favorite character and your most hated one? 3.) Do you support Gay or Lesbians? 4.) What's your favorite type of art? 5.) Can you lick your elbow? 6.) Can you sing and dance at the same time? 8.) If you were to give advice to your younger self what would it be? 11.) Do you believe in magic? 12.) Do you ship Sans and Chara? 13.) What's your favorite ship? Now here are the people that I will be tagging! Feb 26, 2016 10,000 POINTS GIVEAWAY! Feb 1, 2016 Exams!!! Next WEEK!!! thanks for favouriting and using my stamp! Why yes, I certainly do. 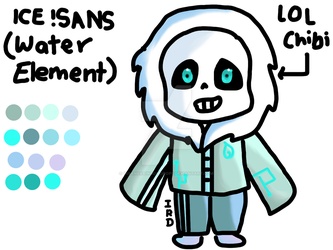 Now if I may remember, you joined the Chara x Sans group that I made on Google+, right? I just checked on your gallery before and saw something that was similar to one of the posts on the Shara group. Anyways, thanks for joining the group.